Today, the term often used to describe that quality is “resident-driven,” and it remains a cornerstone of Kendal. What’s the benefit of a resident-driven community? 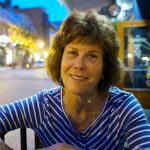 Just listen to what residents recently told Ann Francis, president of Kendal at Oberlin Residents Association (KORA), when asked to describe the Kendal values they most cherish. I like it because I can be an individual here. I have a choice. I can do what I want and can do. There is a spirit of sharing and taking responsibility. This is a community that tries to get along, fiercely independent, not afraid to question and ask questions. I appreciate the transparency and accessibility of administration. Working together residents and staff solve problems. Residents contribute to the life of the community in many ways and do a lot of the work. I can and expect to have a say in the things that affect my life. I can expect to be treated with dignity and respect. Resident involvement and participation in matters both large and small is as timely as ever, as baby boomers enter retirement age and look for living arrangements that will give them opportunities to continue to grow and make a difference. A resident-driven community is one where residents create and organize their own opportunities for a variety of activities and interests. They are involved in governance. Channels for communication are open and there is transparency from staff and the board of directors. All residents are members of KORA, which meets monthly, and are eligible and encouraged to participate in the governance of the residents’ association and in its many activities and special purpose groups. KORA serves as the umbrella for more than 100 committees, sub-committees and interest groups. Kendal at Oberlin also has dozens of informal groups, such as one where residents discuss articles (and cartoons) in The New Yorker, that come and go depending on resident interest. No need for an Activities Director at Kendal. “I hear a lot from residents that they really appreciate planning their own activities and having a voice,” Ann Francis says. Gluten-Free advocacy and support group. 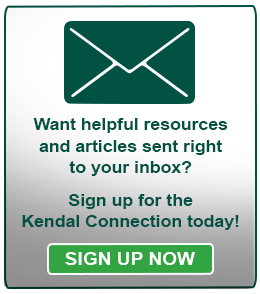 Residents also participate in many Kendal staff committees, such as Marketing Advisory and Philanthropy. As part of Kendal’s 25th anniversary celebration in 2018, the Philanthropy Committee formed a Steering Committee comprised of residents to secure gifts and pledges for the Residents Assistance Fund. Rather than hiring a professional fundraiser, residents volunteered to solicit donations for the fund, which provides assistances to residents who, through no fault of their own, outlive their financial resources. The final tally will be announced at the 25th celebration in October, but the resident-run committee did an “amazing job,” co-chair Grace Tompos says. Another group of residents who are interested in trees, gardens and grounds came together for a couple of projects and ended up not only forming a committee, but getting the 100-acre campus certified as a Level 1 arboretum. 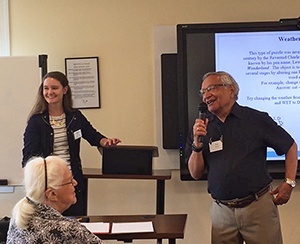 A multiple-year, campus-wide renovation project is underway at Kendal, and Grace, along with resident Jim Helm, meet weekly with Facility Services Director Rey Carrion for updates and to voice resident concerns. They report back to residents at the monthly KORA meeting. Three seats on Kendal’s board of directors are reserved for Kendal residents, plus a KORA representative, typically the president, also attends board meetings. In addition, a member of the board of directors attends KORA’s monthly meeting. CEO Barbara Thomas holds two open meetings each month. At the Afternoon Exchange, she and other administrators update residents on projects, activities and the like, with time always for questions. The morning Coffee Hour is more informal, with the focus on resident concerns and questions. Lately, at the monthly meetings, Barbara has been sharing results of a resident satisfaction survey (92% participation) conducted by an outside company. Kendal helps me live the life I choose. Every fall CFO Ann O’Malley holds a budget forum so residents can review items that may impact the budget plans, voice concerns and, always, ask questions. The deep roots that sustain Kendal and promote, among other things, a resident voice are found in its Values and Practices. To maintain integrity and high ethical standards. At a recent Kendal-wide gathering of marketing directors, Ann Francis, who is a Quaker, spoke about these Kendal values. “As KORA president working with so many residents and staff, I get to see our values-driven community in action in all its richness and imperfections and possibilities. Amazing things happen when we work together. It certainly can be challenging to treat everyone with dignity and respect, to think what is the best for the whole community and not just push for our individual wants and needs, to be inclusive, and to provide services and care consistent with our values. I know we are not perfect. As one resident put it – this is not utopia.